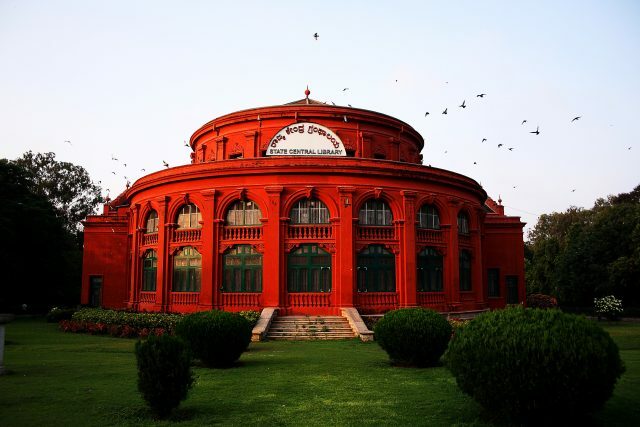 Located inside the lush greens of cubbon park is the State Central Library. The red facade of this building does not give away just how old it is. Celebrating a 100 years, the library is home to over five lakh books (equal to about 8,218 books). It has also been a favorite reading getaway for many visitors who come to study, read the papers, and browse through the extensive collection. The library also caters to individuals with special needs. The braille section is currently under renovation and will soon include audiobooks and internet facilities along with study materials for competitive exams.